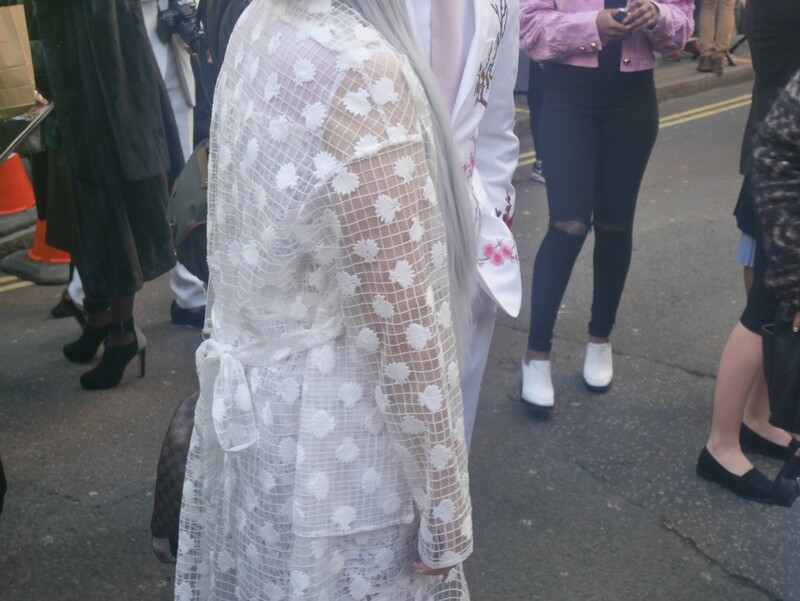 The London Fashion Week buzz isn’t just about what’s on the catwalk but also the surrounding streets as they become a hub for trend spotters photographing the latest looks that will be instagrammed and pinned within a few hours. These straight-from-the-street snaps offer something to us normal folk that the catwalks can’t necessarily do and that is offer style ideas that are wearable right now, not in 6 months time. Can we talk about the 1980s and 90s as ‘retro‘ yet? Either way, oversized, stonewash denim is back and the more embellishment the better. 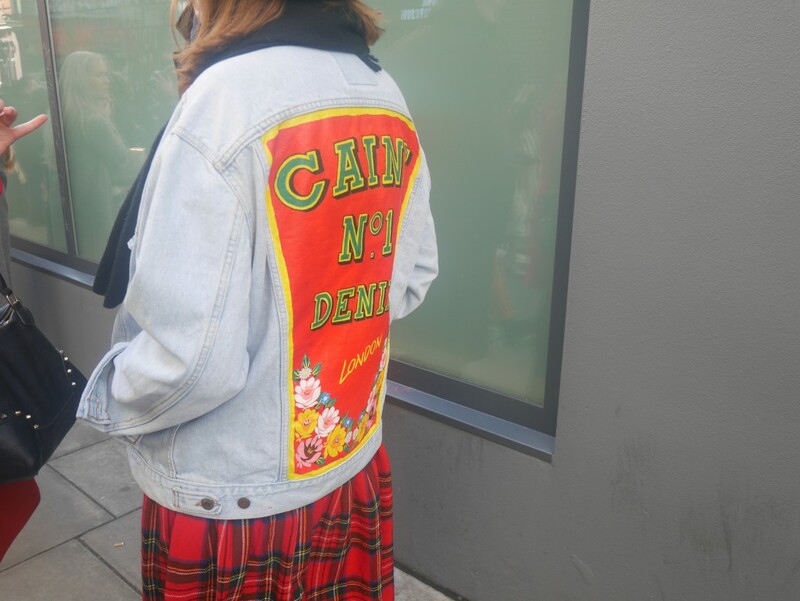 Adding tartan gives a punky feel but for a more wearable look, try an embroidered denim jacket over a simple t-shirt dress. Smarten up a hoody and jeans look with a mac and switch the grab-handle bag for a cross-body style for easy mum-on-the-run style. 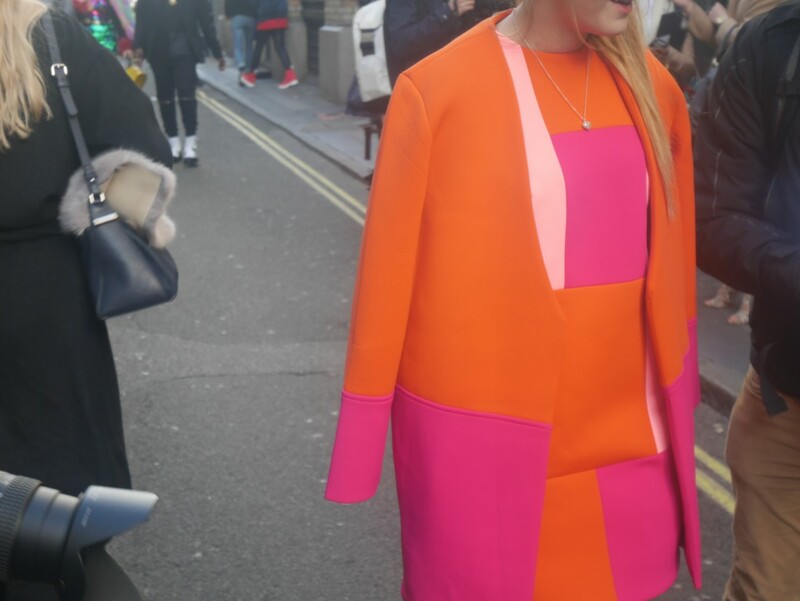 If you’re opting for a bold coat, don’t shy away from bright colours elsewhere. Look for clashing colours or matchy-matchy tailoring for dressy statement style. Shield from the rain in style with a sheer mac. All white underneath optional. Layer jackets for added warmth but keep it tonal to streamline your look. Red lips and nails really pop against a neutral outfit. The biker jacket gets a new lease of life with an injection of colour. As we head towards spring look for coloured suede rather than leather to update your jacket game. A striped top, black blazer and denim seems like a simple outfit formula at face value but it’s the raised neckline on a black and white striped top, oversized cut of the blazer and wide leg denim that brings this outfit up-to-date. Not strictly outerwear, but a layered look with a new silhouette. 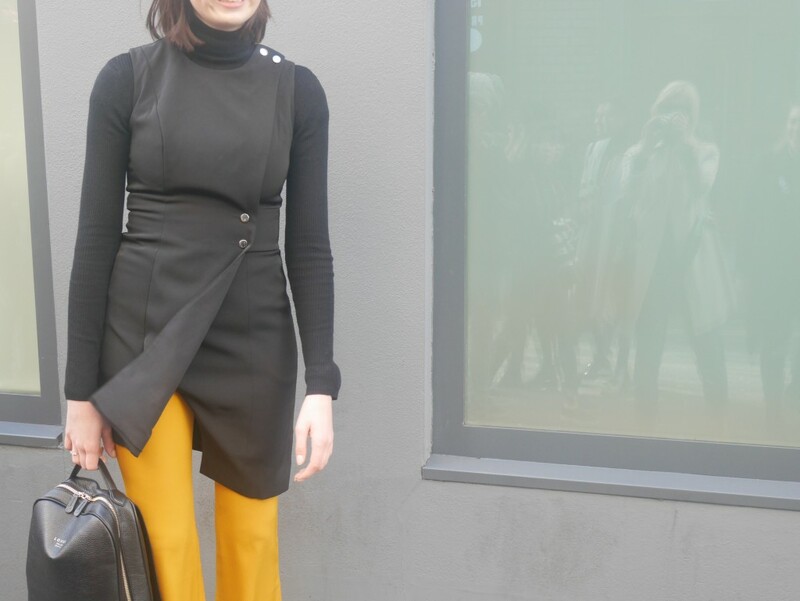 The tunic and trousers combination has been emerging for a few seasons now and it’s an easy way to layer up without knits. For a more mainstream look, try a long-line waistcoat with jeans or trousers and a long sleeve top underneath. 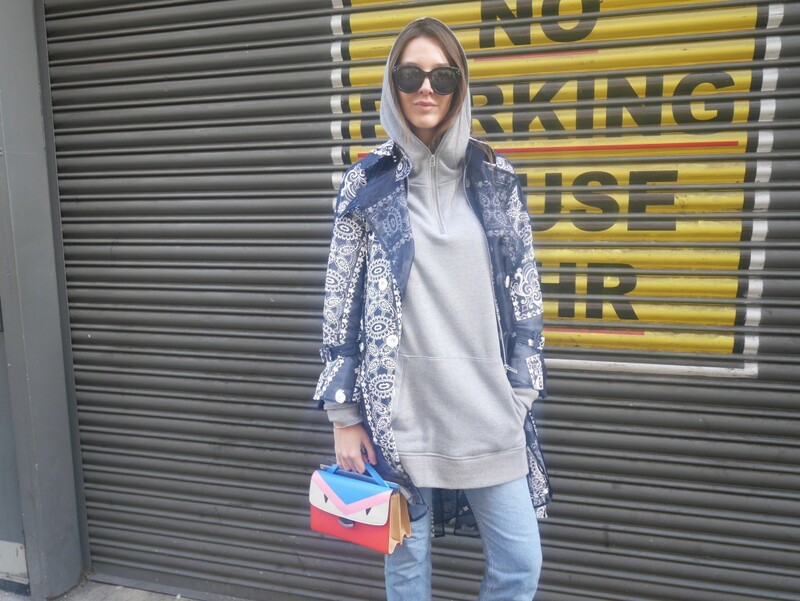 Take inspiration from London Fashion Week street style with these looks. With three across and three down you’ve got 6 easy-to-wear outfits ready to go and with a bit of mix-and-matching you’ve even more. 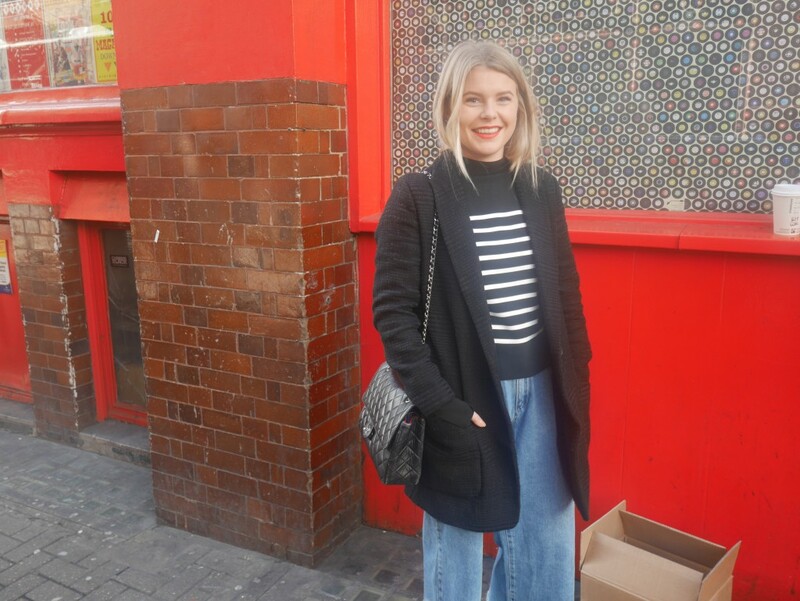 As for my own street style look, I opted for a classic mac with silk scarf replacing the belt, boyfriend jeans and a roll neck. 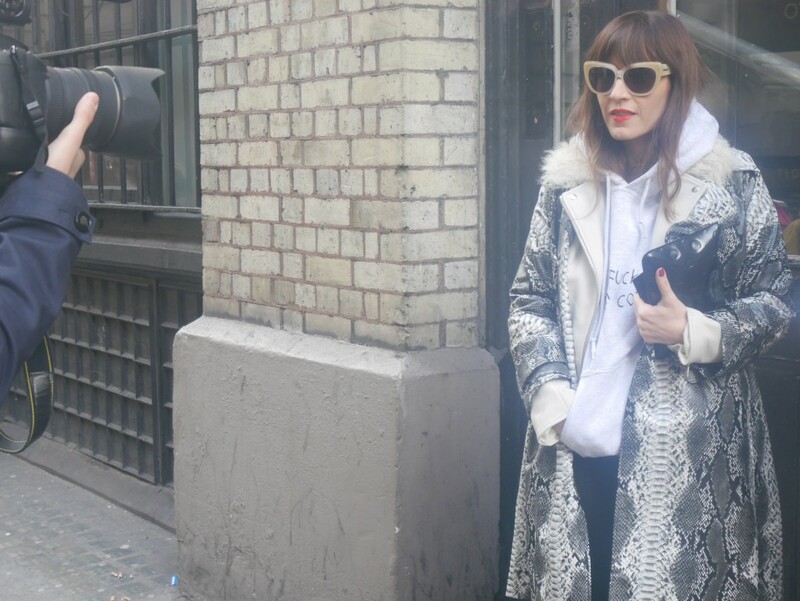 Simple, but it still got the other street style snappers snapping away!